Several weeks ago I was consulted by a young man regarding the management of his heavily pre-treated, widely metastatic rectal carcinoma. Upon review of his records, it was evident that under the care of both community and academic oncologists he had already received most of the active drugs for his diagnosis. Although his liver involvement could easily provide tissue for analysis, I discouraged his pursuit of an ex vivo analysis of programmed cell death (EVA-PCD) assay. Despite this, he and his wife continued to pursue the option. As I sat across from the patient, with his complicated treatment history in hand, I was forced to admit that he looked the picture of health. Wearing a pork pie hat rakishly tilted over his forehead, I could see few outward signs of the disease that ravaged his body. After a lengthy give and take, I offered to submit his CT scans to our gastrointestinal surgeon for his opinion on the ease with which a biopsy could be obtained. I then dropped a note to the patient’s local oncologist, an accomplished physician who I respected and admired for his practicality and patient advocacy. A week later, I received a call from the patient’s physician. Though cordial, he was puzzled by my willingness to pursue a biopsy on this heavily treated individual. I explained to him that I was actually not highly motivated to pursue this biopsy, but instead had responded to the patient’s urging me to consider the option of performing an EVA-PCD assay. I agreed with the physician that the conventional therapy options were limited but noted that several available drugs might yet have a role in his management including signal transduction inhibitors. I further explained that some patients develop a process of collateral sensitivity, whereby resistance to one class of drugs (platins, for example) can enhance the efficacy of other class of drugs (such as, antimetabolite) Furthermore, patients may fail a drug, then be treated with several other classes of agents, only then a year of two later, manifest sensitivity to the original drug. Our conversation then took a surprising turn. First, he told me of his attendance at a dinner meeting, some 25 years earlier, where Dan Von Hoff, MD, had described his experiences with the clonogenic assay. He went on to tell me how that technique had been proven unsuccessful finding a very limited role in the elimination of “inactive” drugs with no capacity to identify “active” drugs. He finished by explaining that these shortcomings were the reason why our studies would be unlikely to provide useful information. I found myself grasping for a handle on the moment. Here was a colleague, and collaborator, who had heard me speak on the topic a dozen times. I had personally intervened and identified active treatments for several of his patients, treatments that he would have never considered without me. He had invited me to speak at his medical center and spoke glowingly of my skills. And yet, he had no real understanding of what I do. It made me pause and wonder whether the patients and physicians with whom I interact on a daily basis understand the principles of our work. For clarity, in particular for those who may be new to my work, I provide a brief overview. 1. Cancer patients are highly individual in their response to chemotherapies. This is why each patient must be tested to select the most effective drug regimen. 2. Today we realize that cancer doesn’t grow too much it dies too little. 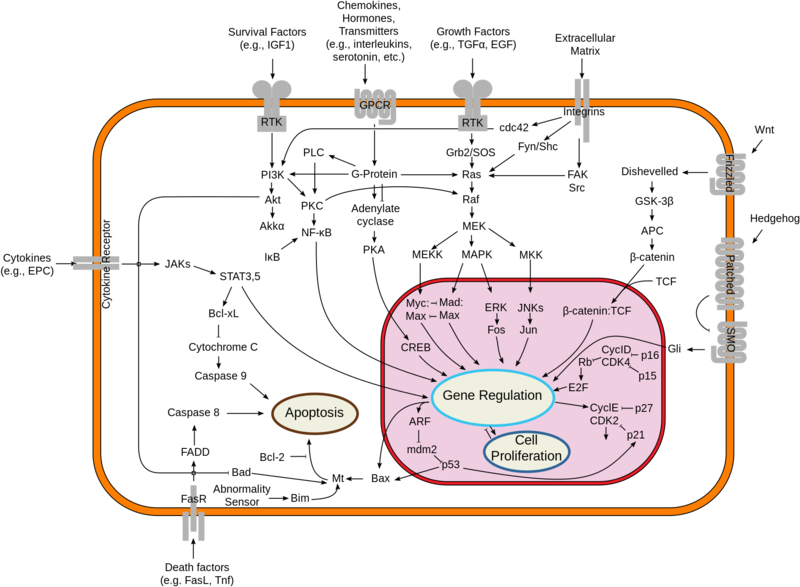 This is why older growth-based assays didn’t work and why cell-death-based assays do. 3. Cancer must be tested in their native state with the stromal, vascular and inflammatory elements intact. This is why we use microspheroids isolated directly from patients and do not grow or subculture our specimens. 4. Predictions of response are not based on arbitrary drug concentrations but instead reflect the careful calibration of in vitro findings against patient outcomes – the all-important clinical database. 5. We do not conduct drug resistance assays. We conduct drug sensitivity assays. These drug sensitivity assays have been shown statistically significantly to correlate with response, time to progression and survival. 6. We do not conduct genomic analyses for there are no genomic platforms available today that are capable of reproducing the complexity, cross-talk, redundancy or promiscuity of human tumor biology. 7. 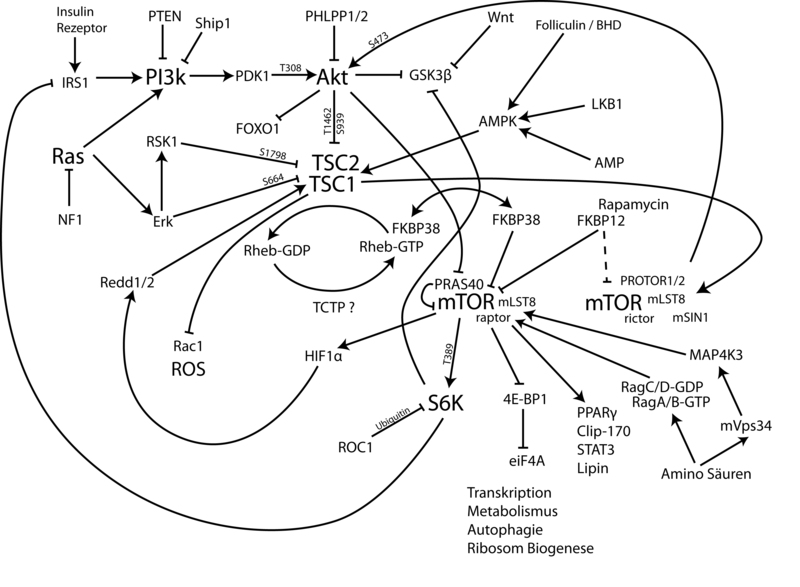 Tumors manifest plasticity that requires iterative studies. Large biopsies and sometimes multiple biopsies must be done to construct effective treatment programs. 8. With chemotherapy, very often more is not better. 9. New drugs are not always better drugs. 10. And finally, cancer drugs do not know what diseases they were invented for. While we could continue to enumerate the principles that guide our practice, one of the more important principles is humility. Medicine is a humbling experience and cancer medicine even more so. Patients often know more than their doctors give them credit for. Failing to incorporate a patient’s input, experience and wishes into the treatment programs that we design, limits our capacity to provide them the best outcome. Ken Burn’s series “The Emperor of All Maladies” from Siddhartha Mukherjee’s book of the same title p rovides an interesting and informative historical perspective on mankind’s efforts to confront cancer as a disease. Through the ensuing decades, seemingly stunning victories ultimately fell in crushing defeats, while the promise of single agents, then multi-drug combinations, followed by dose-intensive therapies, and finally bone marrow transplantation yielded few cures but delivered ever increasing toxicities. 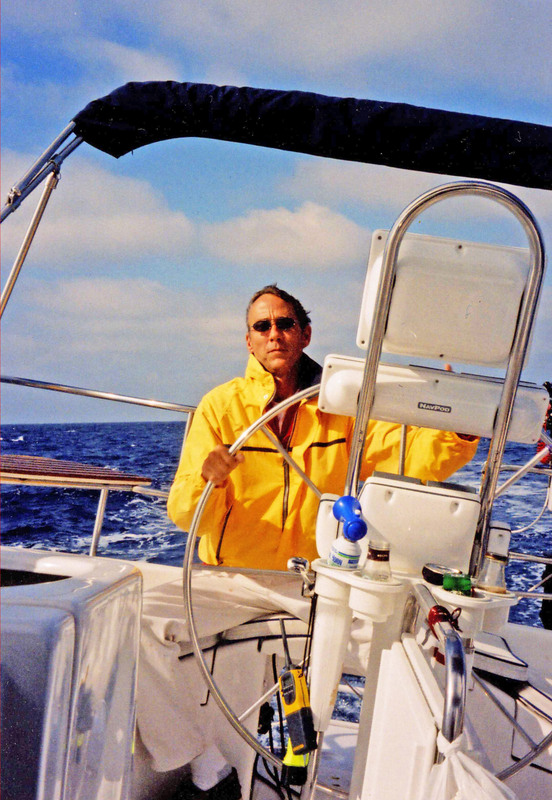 Clifton Leaf, a cancer survivor himself who created a stir with his controversial 2003 Fortune Magazine article entitled “Why We Are Losing the War on Cancer and How to Win It” described his own disappointment with the slow pace of progress. The last episode examined our growing understanding of human genomics and segued by interviews with Richard Klausner, former director of the National Cancer Institute; and Harold Varmus, the current NCI director; to Michael Bishop, Eric Lander and Francis Collins who luxuriated in the clinical potential of human genomics and the coming era of big science. The final part was an interview with Steven Rosenberg, one of the earliest pioneers in immunotherapy and Carl June whose groundbreaking work with chimeric antigen receptor T-cells is among the most recent applications of this important field. The take-home message would seem to be that despite the fits and starts we are now at the dawn of a new age of big science, big data and genomic breakthroughs. What was missing however was an examination of where we had gone wrong. It would seem that the third rail for this community is an honest assessment of how a small coterie of investigators who championed only certain ways of thinking over all others commandeered all the money, grants, publications, chairmanships and public attention, while patients were left to confront a disease from which survival has changed very little, at ever increasing costs and toxicities. Another thing that came through was the very human side of cancer as a disease and the kindness and emotional support that family members and parents provided to those afflicted. I couldn’t help but feel that these individuals had been cheated: cheated of the lives of their family members, cheated of the resources that could have pursued other options and cheated of the well-being that these poisonous and dose-intensive regimens rained upon them in their last days. As science has become the new religion and scientists the new gurus, one message that resonated was that many of these gurus were false prophets. They are too self-absorbed to question their own dogmatic belief systems in dose-intensity or multi-agent combinations, all of which fell painfully by the way side as the next therapeutic fad emerged. Will our current love affair with the gene prove to be little more than the most current example of self-congratulatory science conducted in the echo chamber of modern academia? Victories against cancer will be won incrementally. Each patient must be addressed as an individual, unique in their biology and unique in their response probability. No gene profile, heat map, DNA sequence or transcriptomic profile has answered the questions that every patient asks; “What treatment is best for me?” Dr. Mukherjee himself used the analogy of the blind men and the elephant. Unfortunately, there was little discussion of how much that parable may apply to our current scientific paradigms. It is time for patients to demand better and refuse to participate in cookie-cutter protocols. Physicians should become more familiar with the fundamentals of physiology and biochemistry to better understand the principles of cancer prevention at the level of diet and lifestyle. 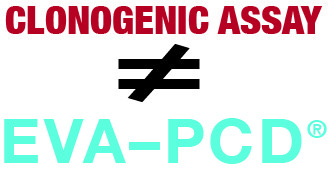 Finally, while we wait with bated breath, for the arrival of glorious gene profiles widely touted as the future answer to all of cancer’s most vexing questions, patients should throw off the yoke of one-size-fits-all approaches and demand laboratory platforms, such as the EVA-PCD assay, that are available today to make better use of existing treatments. With the interest in “value oncology” and cost containment, a report appeared in the December 2014 Journal of Clinical Oncology that analyzed the impact of the Medicare Prescription Drug Act of 2003 (MMA) on chemotherapy administration in an environment of diminishing reimbursement to physicians. Prior to the passage of the MMA, oncologists were compensated at 95% of the average wholesale price of a drug. The government accounting office found that the larger medical oncology practices could form “buyers groups” and purchase drugs at lower prices allowing them to pocket the difference. A 2003 New York Times article decried the practice as a “Chemotherapy Concession” and Medicare responded. The MMA of 2003 changed the policy so that chemotherapy drugs were reimbursed at the national average sale price plus 6%. It was hoped that this would result in cost savings. Practices were divided into Fee-For-Service and Integrated-Health-Networks, the latter largely HMOs and the Veterans’ Administration. It was expected that integrated networks would be less affected since their physicians are salaried and an 11% disparity between the two groups was noted for MMA agents. However, a number of interesting, unexpected and instructive trends emerged. First, contrary to expectations, the overall use of chemotherapy actually increased following the passage of the MMA. Second, the cost of cancer care continued to increase unabated following the passage of the MMA. Finally, changes in drug use appeared to be disease-specific. Colorectal and small cell lung cancer patients saw a decline in the use of MMA affected drugs while non-small lung cancer showed an increase for both fee-for-service and integrated networks. With the overall use of MMA drugs in lung cancer increasing by 1.6 fold, the same drug use increase in the integrated (salaried) groups was 6.3 fold higher. Among the findings the authors note “reimbursement after MMA passage appears to have had less impact on prescribing patterns in fee for service than the introduction of new drugs and clinical evidence.” This gives the lie to the idea that practicing oncologists are driven by self-gain, a popular narrative in the current political environment. Community fee-for-service oncologists represent a qualified, yet under-appreciated resource for patients. While their academic brethren bask in the limelight, it is private practitioners who must make sense of the complex and overly dose-intensive treatment schedules handed down to them by ivory tower investigators. We now come to learn that while fee-for-service doctors have been forced to consolidate, join hospital systems, or retire, the cost of cancer care has actually climbed by 66% since the passage of MMA. It would appear that this experiment has failed. Costs were not contained and drug use was not curtailed. What other bright ideas can we expect from policymakers who seem intent on bending medical care to their wishes at the expense of doctors and their patients? *The 340 B program was originally created by the Federal government to allow charitable hospitals to save money on expensive drugs by allowing them to purchase them at deep discounts. Over time a growing number of “not-for-profit” hospitals demanded the same consideration. Subsequent analyses have found that the majority of the hospitals that now take advantage of 340B actually provide less charity care than the national average. Hospitals that charge full fee for drug administration can then pocket the difference. On Monday, September 22, 2014, we lost a great ally and a better friend. 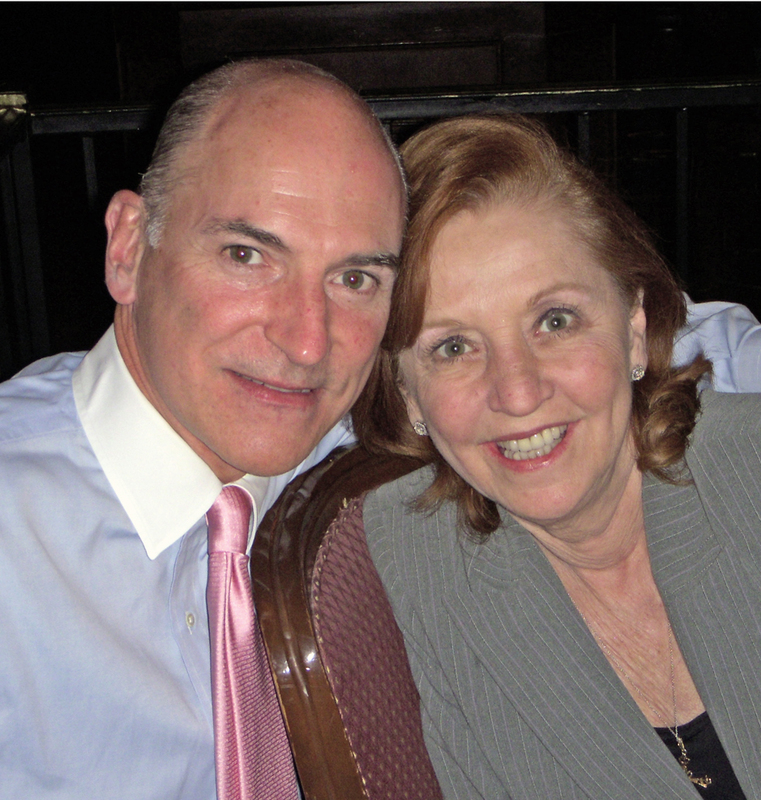 Loretta Stamos lost her own fight with cancer, the very disease that she had worked so tirelessly to defeat. 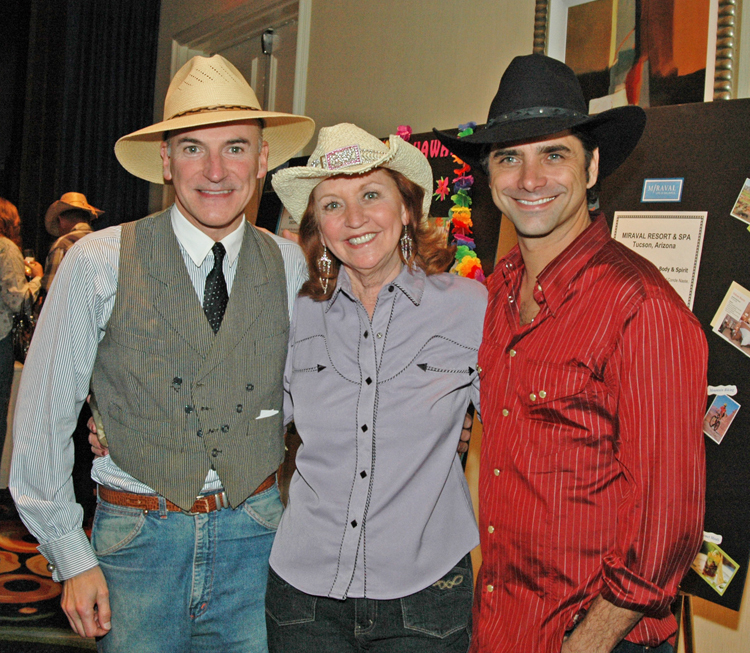 I first met Loretta in 1995 when her brother Jake was diagnosed with advanced lung cancer. His physicians didn’t offer much hope. At our meeting, I explained my approach to cancer therapy using each patient’s cells to select drugs (EVA-PCD functional profile). “Let’s do it,” said Loretta. “Why not?” she replied. As I would come to know over our 20 year friendship, Loretta didn’t mince words and was not one to take no for an answer. A simple two drug combination was recommended for Jake, but his physicians declined. Loretta asked if I would assume his care. As I was out-of-network for his HMO, each time we treated her brother, Loretta generously covered the chemotherapy costs. After two cycles of treatment, the pleural fluid stopped accumulating. Jake gained weight and returned to some of his normal activities. The in-network physicians began to realize that they were on the wrong side of this equation and suddenly offered to continue the treatments at their facility. Jake’s cancer ultimately progressed. His extensive metastatic disease involving his lung and bones was too aggressive for even the best chemotherapy to cure. Despite the sad loss, we had succeeded in showing that every patient deserved the chance to get better regardless of their insurance or finances. Loretta wondered what would have happened if she had not been there to help. I explain ed that the laboratory analyses were too costly for me to donate. Though they came in at a fraction of the price of a single dose of chemotherapy, many insurers refused to cover them. Loretta said, “I’m going to make sure that people who need these tests will never be denied.” And the Vanguard Cancer Foundation (VCF) was born. Months of work, committee meetings and planning sessions culminated in a “A Night in Brazil,” a gala benefit that raised $100,000. 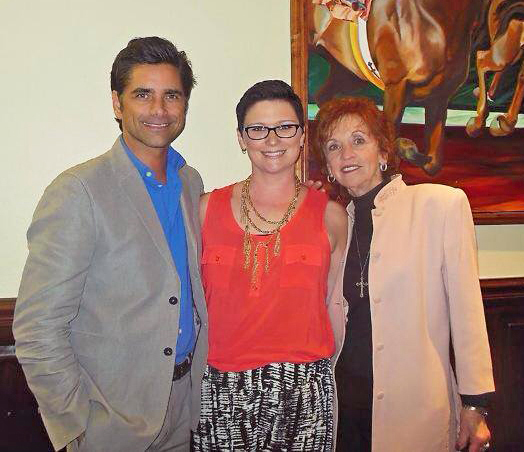 John Stamos, Dave Coulier and Bob Saget turned in stellar performances as the MCs and a great time was had by all. More importantly, for the first time we could to say to patients, “We can find the treatment that’s right for you and if you can’t afford it, we’ll give it to you.” With each passing year the fund grew as did the number of patients we could help. There is a silver lining to even the darkest cloud. It was Loretta who put it most poignantly when she defined the mission of the Vanguard Cancer Foundation as providing lifesaving care to “persons of worth but not of means.” The most fitting tribute of all for this noble soul is the more than 400 patients who can thank Loretta Stamos for a second chance at life. Few dictates of modern medicine could be considered more sacrosanct than the prohibition of excess salt intake in our daily diets. For more then five decades every medical student has had the principle of dietary salt reduction drummed into his or her heads. Salt was the bane of human health, the poison that created hypertension, congestive heart failure, stroke, renal failure and contributed to the death of untold millions of people in the western society. At least so it seemed. Three articles in the 08/14/2014 New England Journal of Medicine raise serious questions about the validity of that heretofore established principle of medical therapeutics. Two of the articles utilized urinary sodium and potassium excretion as a surrogate for dietary intake to examine impact on blood pressure, mortality and cardiovascular events overall. A third article applied a Bayesian epidemiologic modeling technique to assess the impact of sodium intake on cardiovascular mortality. The first two articles were unequivocal. Low sodium intake, that is, below 1.5 to 2 grams per day was associated with an increase in mortality. High sodium intake that is, greater than 6 grams per day, was also associated with an increase in mortality; but the middle ground, that which reflects the usual intake of sodium in most western cultures did not pose a risk. 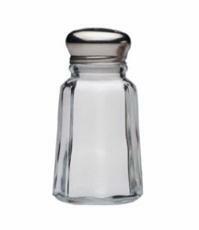 Thus, the sodium intake associated with the western diet was safe. What is troubling however is the fact that very low sodium diets, those promulgated by the most established authorities in the field, are in fact hazardous to our health. It seems that every day we are confronted with a new finding that refutes an established dogma of modern medicine. I have previously written blogs on the intake of whole milk or consumption of nuts, both of which were eschewed by the medical community for decades before being resurrected as healthy foodstuffs in the new millennium. One by one these pillars of western medicine have fallen by the wayside. To this collection, we must now add the low-salt diet. Thomas Kuhn in his 1962 book, The Structure of Scientific Revolutions, stated that a new paradigm would only succeed if a new one arises that can replace it. Perhaps these large meta-analyses will serve that purpose for sodium intake and health. One can only wonder what other medical sacred cows should now be included in these types of inquiries? As a researcher in the field of human tumor biology and purveyor of the EVA-PCD platform for prediction of chemotherapy drug response and oncologic discovery, I am intrigued but also encouraged, by the scientific community’s growing ability to reconsider its most established principles as new data forces a re-examination of long held beliefs. It may only be a matter of time before more members of the oncologic community re-examine the vast data supporting the predictive validity of these Ex Vivo Analyses and come to embrace these important human tumor phenotypic platforms. At least we can hope so. 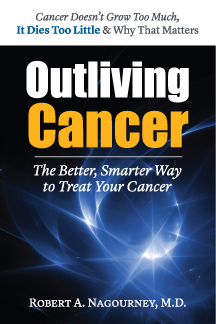 For those of you who have read my book Outliving Cancer you will recognize the chapter entitled “Outliving Hospice.” It is the description of one of my lung cancer patients. The saga began in 2005, when this gentleman with metastatic lung cancer under the care of the Veteran’s Administration in Los Angeles presented to our group requesting a biopsy for an EVA-PCD assay to select therapy. Diagnosed some months earlier his lung cancer had progressed following first line platinum-based chemotherapy. He was deemed untreatable and placed on hospice. At his request, one of our surgical colleagues conducted a biopsy and identified a treatment combination borrowed from work done some years earlier by Japanese investigators. It worked perfectly for a year allowing him to return to a normal life. At year two however, he relapsed. At that point, we confronted a dilemma – would we accept the inevitability of his progressive disease, fold our tent, and allow the patient to return to hospice care; or conduct yet another biopsy to determine the next line of therapy? If you have read the book, then you know how the story plays out. The new biopsy revealed the unexpected finding that the tumor had completely clocked around to an EGFR-driven cancer, highly sensitive to erlotinib (Tarceva). Placed upon oral Tarceva, he has been in remission ever since. When I saw Rick, two weeks ago at our six month routine follow up he provided a copy of his February 2014 PET/CT scans which, once again, revealed no evidence of progressive disease. With the exception of the skin rashes associated with the therapy, he maintains a completely normal life. During our discussion he apprised me of an interesting fact. His survival, now approaching 10 years, according to him, constitutes not only the longest survivorship for any patient under the care of the Los Angeles VA, nor any patient under the care of the VA in California, no, he is the longest surviving actively treated metastatic non-small cell lung cancer under the care of the Veteran’s Administration. Period! While I cannot, with certainty, vouch for this fact, I am quite certain that he is among the best outcomes that I have seen. There are several points to be gleaned. The first is that every patient deserves the best possible outcome. The second is that hospice care is in the eye of the beholder. The third is that patients must take charge of their own care and demand the best possible interventions available. As an aside, you might imagine that a federal agency responsible for the costly care of tens of thousands of lung cancer patients every year would pay attention to results like Rick’s. Might there be other patients who could benefit from Ex-Vivo Analysis for the correct selection of chemotherapeutics? One can only wonder. Why Do Cancer Surgeons Cure More Patients Than Medical Oncologists? Surgery remains the most curative form of cancer treatment. While the reasons for this are many, the most obvious being earlier stage of disease and the better performance status of the patients, there are other factors at work. Surgeons tend to be rugged individualists, prepared to make life and death decisions at a moment’s notice. The surgeon who enters the pelvis expecting an ovarian cyst only to find disseminated ovarian cancer must be prepared to conduct a total hysterectomy and bilateral ovary removal if he/she is to save the patient’s life. It is these types of aggressive interventions that have that revolutionized the treatment of advanced ovarian cancer. What of the medical oncologists who, with the exception of leukemia and some lymphomas, confront diseases that are difficult to eradicate and for which treatments can be toxic? Trained as incrementalists, they do not expect cures so much as palliation. Their role is not to make hard decisions, but instead to rely upon precedence. Educated in the school of small advances, these physicians are not rewarded for individual successes but they are harshly criticized for any departures from community standards. Deprived of the opportunity to make bold decisions, medical oncologists follow opinion leaders who instruct them to accrue to standardized protocols. As meaningful advances are few and far between, enormous numbers of patients must be accrued to provide sample sizes with any hope of achieving statistical significance. Among the most disturbing examples of this approach was a trial reported in patients with inoperable pancreatic cancer. The study compared single agent gemcitabine to gemcitabine plus erlotinib. The trial achieved an improvement in survival that led the FDA to approve the two-drug combination. Yet, the actual improvement in median survival was a mere 10 days. The authors beamed, “To our knowledge, this randomized phase III trial is the first to demonstrate statistically significantly improved survival in advanced pancreatic cancer by adding any agent to gemcitabine.” (Moore, MJ et al J Clin Oncol, 2007). To the average observer however, a clinical trial that required 569 patients to improve median survival from 5.91 months to 6.24 months (10 days) would hardly seem cause for celebration. Medical oncologists have become so accustomed to these marginal advances that they are unmoved to depart from standard protocols lest they be accused of breeching guidelines. This might be acceptable if chemotherapy provided meaningful benefits, but the extremely modest advantages provided by even the best clinical trials scream for medical oncologists to think, well, more like surgeons. How refreshing. Finally a clinical investigator has recognized that patients must be managed on an “individual basis” regardless of what the clinical trial data does or does not support. I recently returned from a lecture tour at the Barretos Cancer Center of Brazil located 300 miles from Sao Paulo. This cancer center, founded in 1968, has become one of the world’s leading programs for the diagnosis and treatment of malignant disorders. Before this small town became famous for cancer care, however, it was a recognized site for rodeos. The city of Barretos sits in the middle of Brazil’s agricultural region with sugar cane and cattle the principal industries. The hospital itself is a charity where all care is delivered free of charge. Patients from all over the country arrive by bus and ambulance to undergo high-level diagnostic, surgical and medical treatment. Much of the funding comes from the government, but a large amount of the money comes from charitable donations in the form of cattle that are auctioned off to provide money. In addition, donations from the leading musicians of the nation, including Michel Telo, help in the fundraising efforts. We arrived at Ribeiro Preto airport where we were met by a driver who brought us the 1-1/2 hour trip to Barretos. I was accompanied by a reconstructive plastic surgeon who was donating a month of her time to the Barretos program. The following morning, the director of the program, Dr. Andre Lopes Carvalho, brought me to the hospital for the lecture. The audience consisted of MDs and MD/PhDs, with many scientists and technical staff. It was well received and followed by a small coffee reception. From there, the Director of Molecular Biology and the Chief of Pathology gave me a tour of the facility. There, in the center of Brazil was a sophisticated research institution with every capability. DNA sequencing performed on Illumina and Ion Torrent equipment. In a tour of the pathology department I was shown archived blocks from tens of thousands of cancer patients, all maintained in a central repository. My discussion with the Chief of Pathology, Dr. Cristovam Scapulatempo-Neto, was most instructive. It must be remembered that Brazil is a nation of stark contrasts, on the one hand, abject poverty and on the other, extreme wealth. The dilemma for the medical system is to deliver care that meets the needs of the greatest number of patients at the lowest possible cost. Dr. Scapulatempo-Neto confronts an almost impossible dilemma. He cannot possibly afford the companion diagnostics so common in America, which match patients to the drugs of interest under FDA regulation, like the COBAS BRAF mutation test for Vemurafenib or the VYSIS ALK Break Apart FISH probe for Crizotinib. At several thousand dollars per test, these tests are beyond the reach of the Brazilian system. More to the point, many of the drugs are not covered by the national insurance. To address the need, this physician has redoubled his efforts in immunohistochemistry. This technique uses special stains and antibodies to measure the presence or absence of proteins. 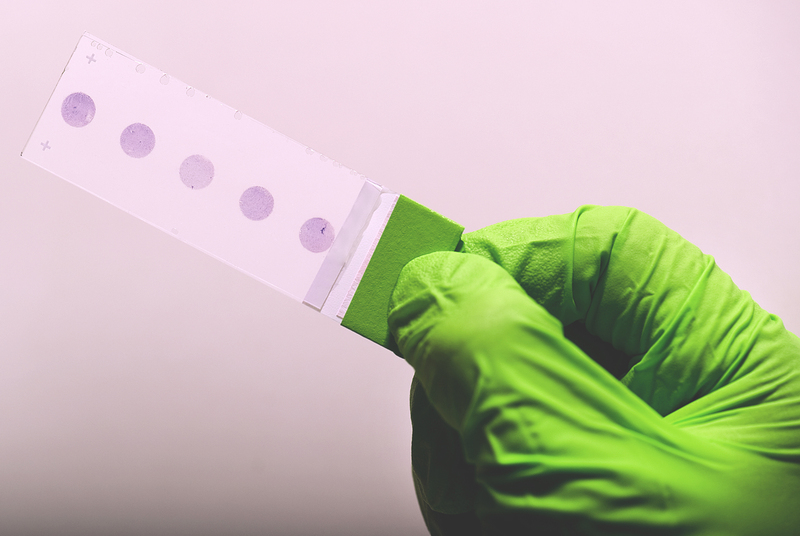 Unlike DNA tests, which identify amplifications and mutations, immunohistochemistry identifies the end-product, the business end of cancer abnormalities. I was amazed by the accuracy and affordability of these increasingly sophisticated IHC tests. While a COBAS or VYSIS test might run thousands, he can conduct high quality IHC for 100 dollars. With a medical center that sees 10,000 new cancer patients per year, the cost savings are significant. I realized that this was indeed an asymmetric war on cancer; low tech answers to high tech problems. I became increasingly enthusiastic about the prospect of utilizing our EVA-PCD platform in this population. After all, these medically indigent patients are barely able to receive even standard cytotoxic chemotherapies, only generic drugs, and very few newer classes of agents are available. The cost saving associated with doubling responses and restricting futile care could be enormous. While gene sequencing technologies become faster, better, and less expensive, the information that they provide for most common malignancies remains to be determined. A practical, comparatively inexpensive tissue culture platform capable of testing both cytotoxic drugs and targeted agents would be a remarkable step forward for the population in Brazil. It is my hope to collaborate with this group and bring our technology to the Brazilian population.